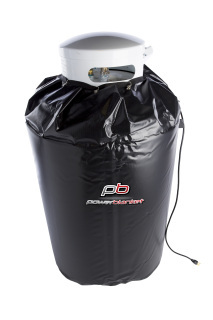 The Powerblanket GCW420 – 420 LB Propane / Gas Cylinder Warming Insulated Heated Blanket, 120 Volt, 400 Watt, 3.33 Amp is designed to keep 420-lb. liquid propane and other gas cylinder tanks at their optimal temperatures to maintain pressure, enhance performance and increase efficiency. This model is UL/CSA compliant. 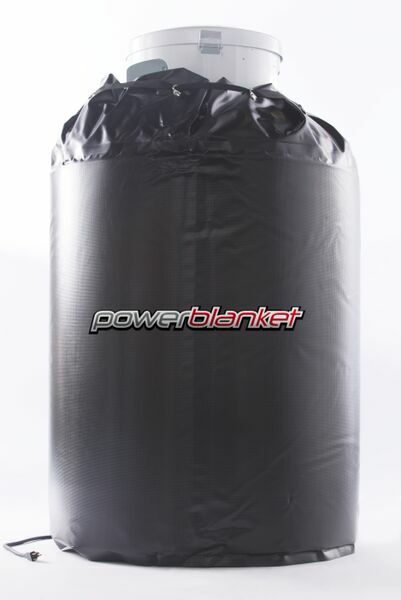 The Powerblanket GCW100 100 LB Propane / Gas Cylinder Warming Insulated Heated Blanket, 120 Volt, 400 Watt, 3.33 Amp is designed to keep 100-lb. liquid propane and other gas cylinder tanks at their optimal temperatures to maintain pressure, enhance performance and increase efficiency. This model is UL/CSA compliant. 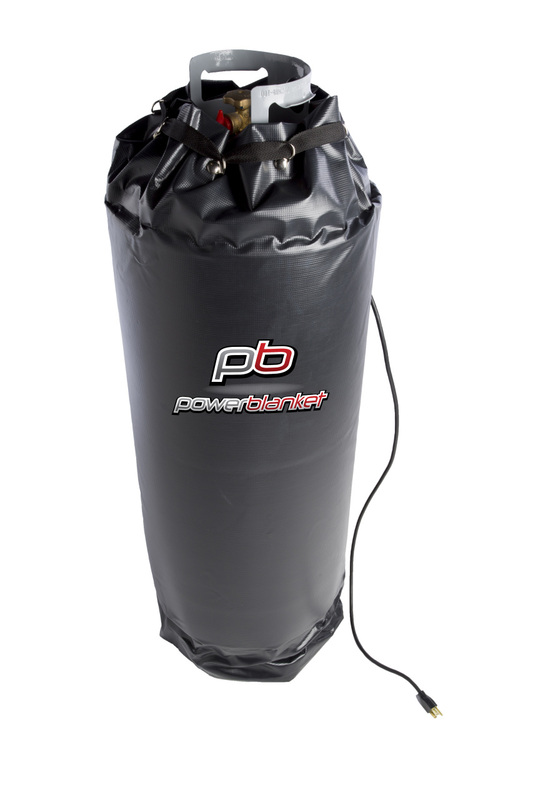 The Powerblanket GCW40 40 LB Propane / Gas Cylinder Warming Insulated Heated Blanket, 120 Volt, 280 Watt, 2.33 Amp is designed to keep 40-lb. liquid propane and other gas cylinder tanks at their optimal temperatures to maintain pressure, enhance performance and increase efficiency. This model is UL/CSA compliant. The Powerblanket GCW30 – 30 LB Propane / Gas Cylinder Warming Insulated Heated Blanket, 120 Volt, 280 Watt, 2.33 Amp is designed to keep 30-lb. liquid propane and other gas cylinder tanks at their optimal temperatures to maintain pressure, enhance performance and increase efficiency. This model is UL/CSA compliant. The Powerblanket GCW20 - 20 LB Propane / Gas Cylinder Warming Insulated Heated Blanket, 120 Volt, 95 Watt, 0.79 Amp is designed to keep 20-lb. 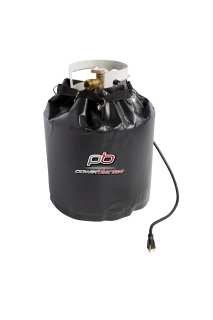 liquid propane and other gas cylinder tanks at their optimal temperatures to maintain pressure, enhance performance and increase efficiency. This model is UL/CSA compliant.